Fit the bike you want instead of finding a bike you fit on! Motorbikes are manufactured with the average user in mind. This would be suitable as long as you are the average user. However, if you are taller or smaller than the average user, you may recognize some of the following illustrated problems. Also, we supply both very affordable and comfortable solutions. We don’t shorten the springs, because we use our knowledge about progressive springs to lower the bike by designing a special rate spring. At this point the first part is softer so the bike can be lowered with its own weight. After that, the spring rate is designed to perform better than original, without bottoming out. If you choose to use this, together with exchanging the front springs and the rear spring, with use of the original shock, you will have a motorcycle which fits you and has an upgraded suspension! In real terms, this means an essential difference! 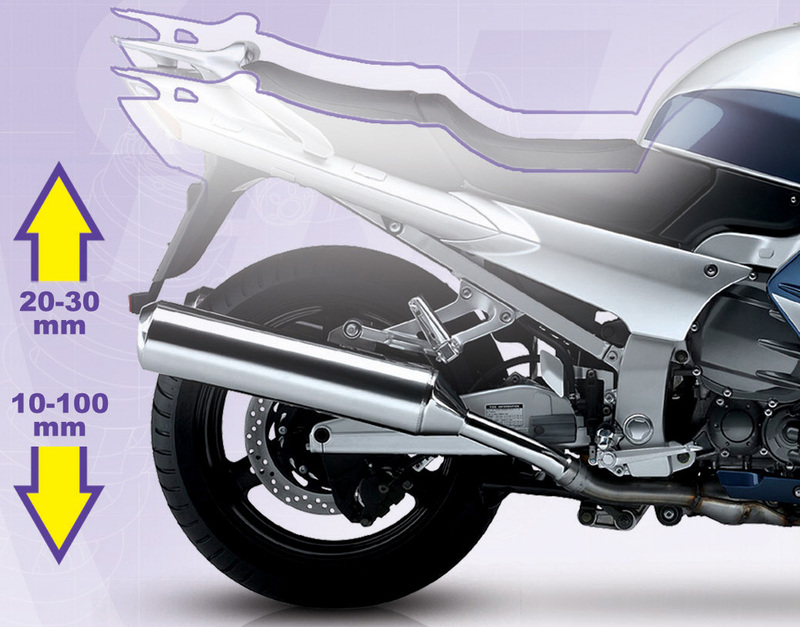 Hyperpro can lower most of the motorcycles with lowering springs. Like a BMW F800GS for instance, we can lower this bike in steps of 30mm and 50mm with springs and even up to 100mm with usage of a shock. Better riding and fit the bike you want!! !